My name is Cat and I'm a crafty so and so obsessed with all things crochet. 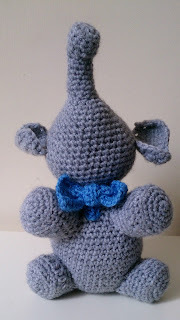 This is my little blog detailing all my new creations and adventures. One of my lovely friends had her second child recently, an adorable little boy called Henry. So to celebrate his arrival to the world I made him a little toy. After discussions with his Godmother it was decided that instead of a teddy bear, this little fellow should get an Elephant! 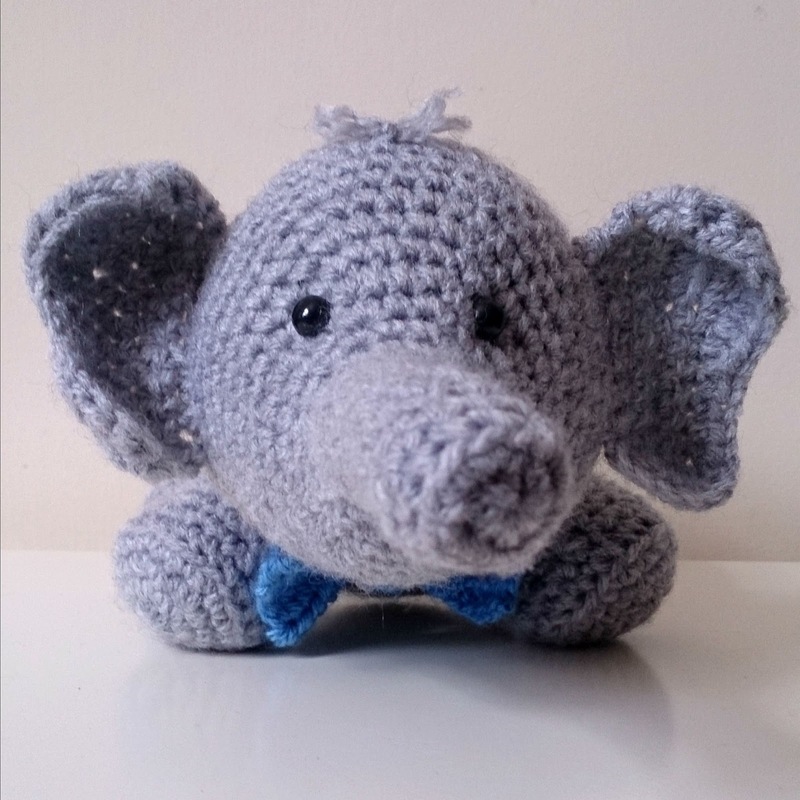 So I did some pattern searching, as coming up with an Elephant design off the top of my head was a bit of a stretch for my mental capacity at the time! But I'm so glad I did as I managed to find a really lovely pattern on Pinterest. I can't find the original author of the pattern in order to give them the credit but I found it on a website called www.amigurumiswebshop.nl. Again, I made a few amendments to the pattern - I like to make things my own - and apparently both mother and baby were really happy with the outcome! One added extra I decided to give Henry's Elephant was a dapper little bow tie. I think it makes him look very smart, and what better for a little baby boy. Oh, To Travel the World. 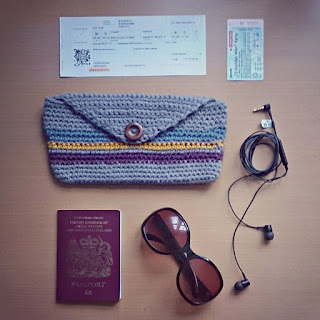 One of my friends is lucky enough to be embarking on a round the world trip of a lifetime soon. As much as I'll miss her while she's away, I hope she will have the time of her life and embrace everything the trip throws at her! Although, from my experience of travelling, something always happens that you weren't quite expecting...What with getting quarantined in China because of the Swine Flu pandemic, and loosing my luggage on a trip to Paris, I know my fair share about travelling mishaps.Therefore I thought I'd make my friend something to try and keep all those important essentials safe and sound during her adventure. Somewhere to keep your passport, your tickets and even your sunnies is a vital accessory when travelling, but you don't need to be travelling round the world to have one. It could just be a nice handy accessory to keep your handbag that little bit more organised! 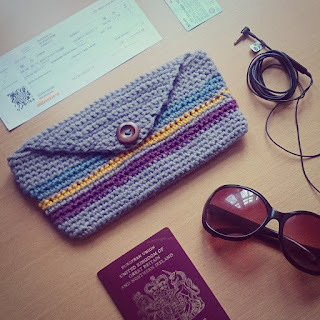 I developed the pattern from a free 'coin purse' pattern I got from a crochet magazine and just enlarged it to make a longer rectangle and a bigger flap. I chose quite muted colours on purpose. Mainly because my friend likes these sorts of colour combinations, but also because I thought they'd be a bit more practical on a journey like hers. Some great friends of mind recently moved in together and I wanted to make them a house warming present. I really wanted to make them a lovely snugly blanket for curling up on the sofa, but with me starting a brand new job, I didn't have much time for blanket making. That was until I found this wonderful pattern! The pattern claimed you could make this blanket in 5 and a half hours, and if I'm honest, I was a bit sceptical. But it really is that simple! 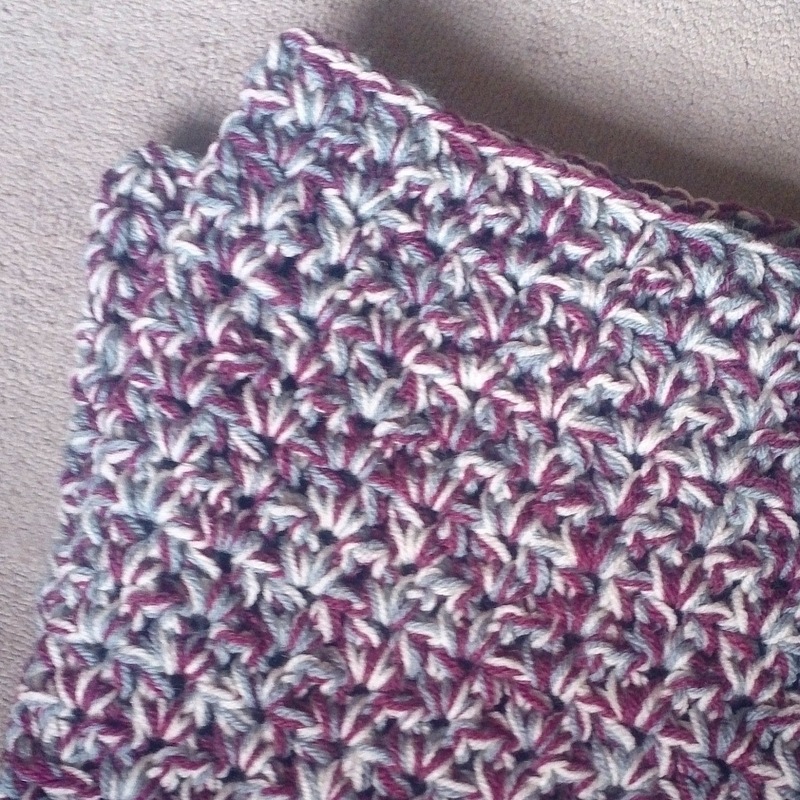 The V stitches are really quick to do and create a lovely texture, and, by using three strands of wool at the same time, you're able to build up a really snugly thick blanket in no time at all - and can create some lovely colour combinations. 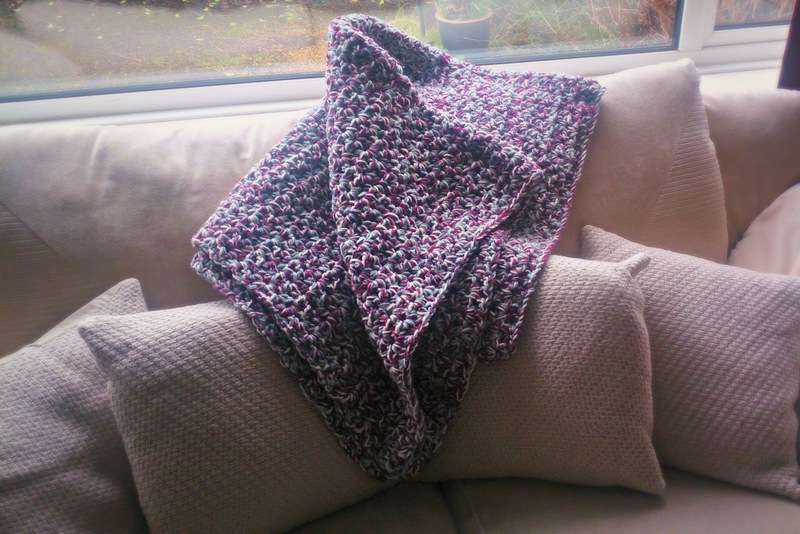 I used 3 really big balls of wool and they managed to make a blanket big enough for 2! I chose a colour combination of deep purple, air force blue and cream, and I'm really happy with how it came out. I've had a few more orders recently so have been busy making some more little characters. The rugby bears had a really good response after the first weekend of the Six Nations and a few people want their own little teddy bear mascot. One in particular requested a personalised number on the back. 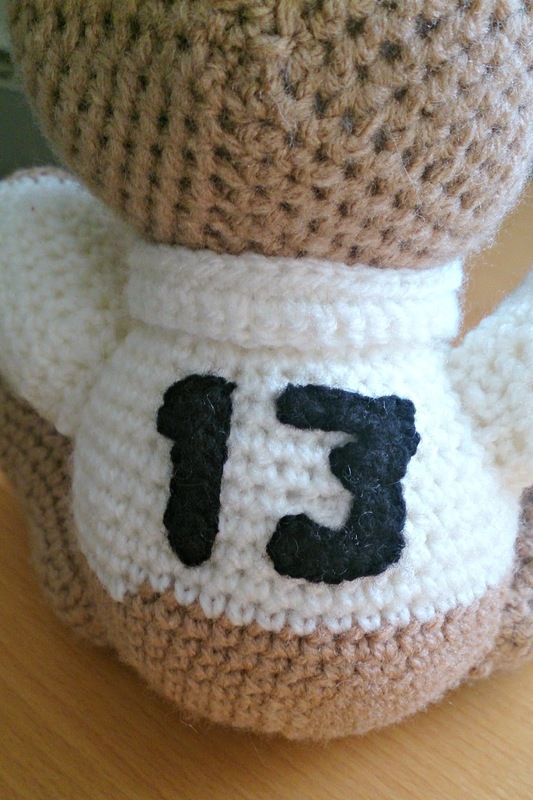 Crocheting numbers was a bit new to me but I did some research and found some really good patterns by Moogly. 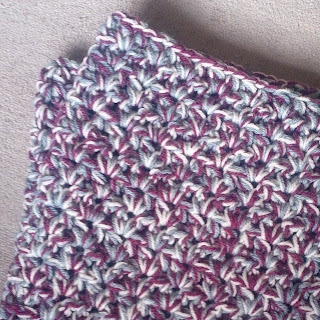 The patterns are really easy to follow and taught me some new techniques of how to change direction cleanly whilst crocheting. So after a few practise attempts, I was able to make some adjustments to the pattern which made the perfect sized numbers I was after. 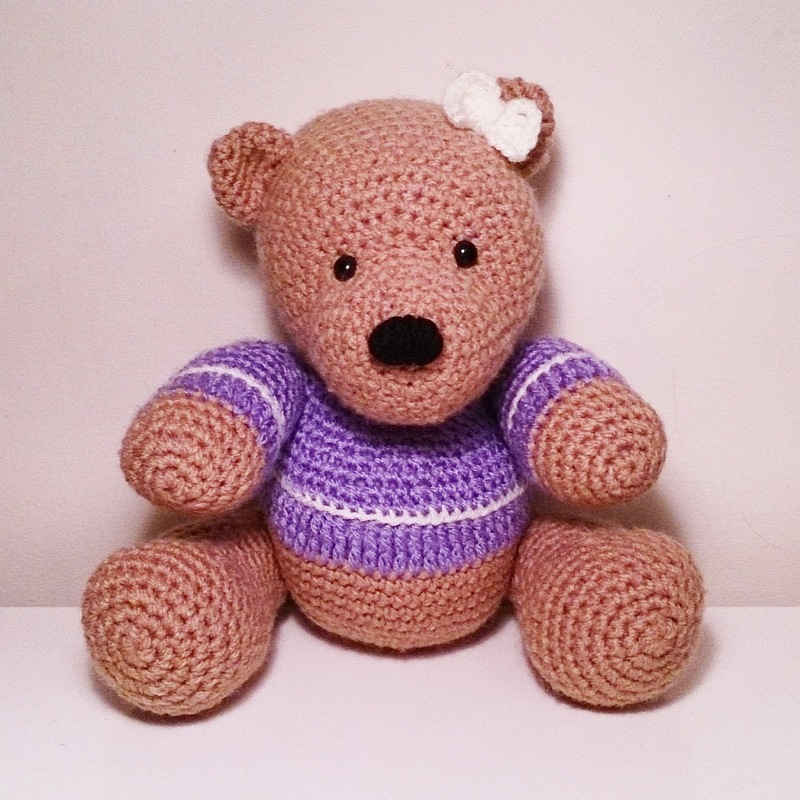 I also had an order to make a bear for some expecting a little girl. Apparently the bump is currently nicknamed Flossie, and I think this little one fits the name quite well too. It's amazing how much of a difference the finishing touches can make to the personalities of these little bears. For example, when I first sewed the nose on this girl, she looked completely different. I thought she looked cute with a bigger nose, but possibly not quite as dainty as I'd wanted. One of my close friends also asked recently if I could make her a bear. However, she wanted a slightly different colour scheme. She really liked the fluffy jumper affect of the Sirdar Snuggly Snowflake Wool I'd used in the bear for my cousins new baby, but ideally wanted it in a teal colour. For the bear its self, she wanted it to be grey. Amazingly Sirdar have recently released a new Soft Jade colour in the Snuggly Snowflake range which worked perfectly, and I think looked really great with the grey of the fur. I then decided to use a nice contrasting mustard yellow for the bow. 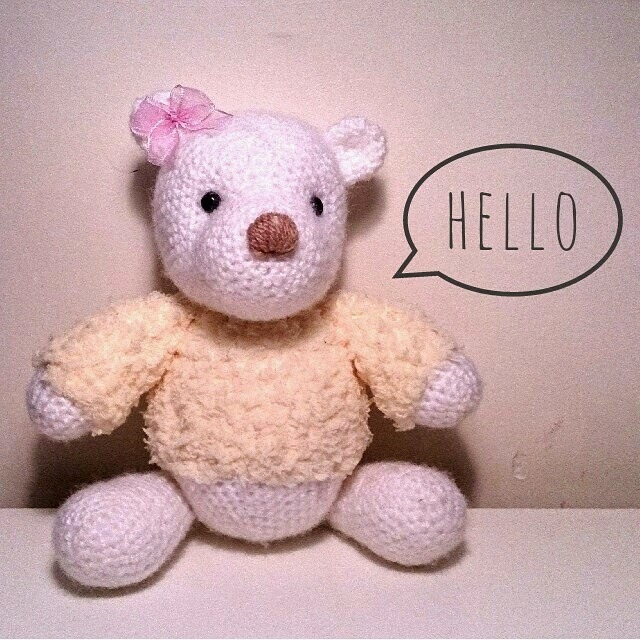 My friend really loves her little bear, so another happy customer! 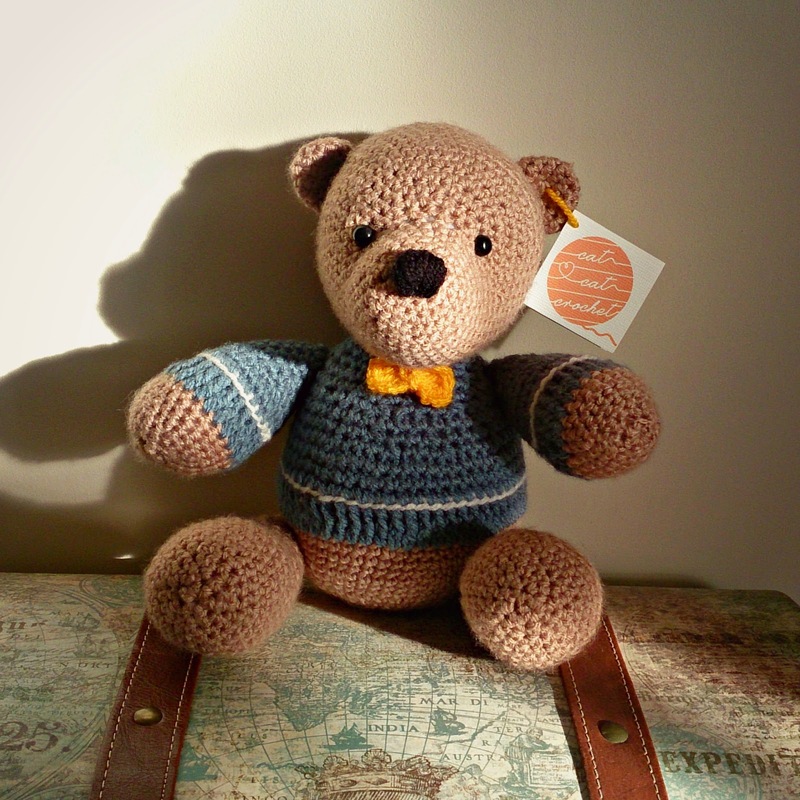 If you'd like a bear of you're own, head on over to my Etsy shop. I have a really personalised approach to making, so if there's any particular additions or extras you'd like, please don't hesitate to ask. Any one who knows me will know I'm a massive rugby fan. So seeing as the Six Nations were rolling round again I thought I'd try and make something for it this year. After living as an English woman in Cardiff, Wales, for 4 years I know all too well the importance of the annual England v Wales match, so when I found out that was going to be the first match of the tournament this year I just had to do something to mark the occasion! 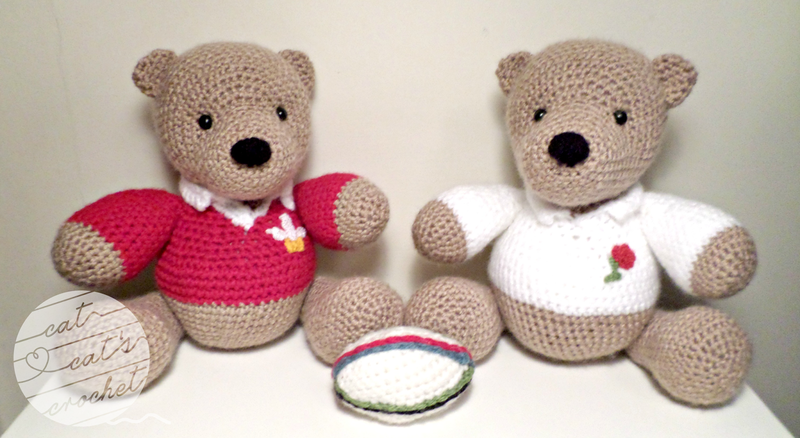 So I've decided to create some rugby bears: here are George and Dafydd. I had the idea quite a while ago to add a collar to one of my other bears to make it look more like a rugby shirt, but I couldn't find a pattern anywhere. So in the usual fashion, I made one up! The emblems are possibly the hardest things to make, and the most fiddly. I used a 2.00 mm hook and some thin cotton. 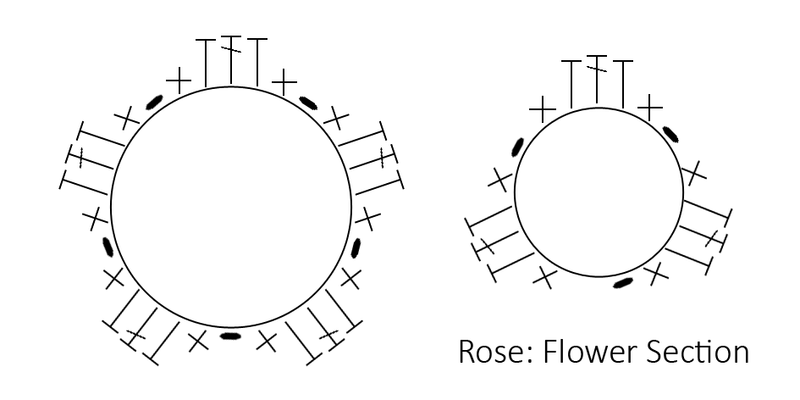 For the rose I had to make it in 3 parts, a big section of the flower, a small section of the flower and the stalk. Rose small flower section is the same as above but only repeat 3 times. And for the stalk I chained 6 but then joined the sixth stitch back to stitch number 3 with a slip stitch in order to make a leaf shape. I then flipped it over so I was working on the other side and did the same again, this time the leaf was then protruding from the other side. Then you just stitch all the parts onto the shirt: stalk, then big section then small section. 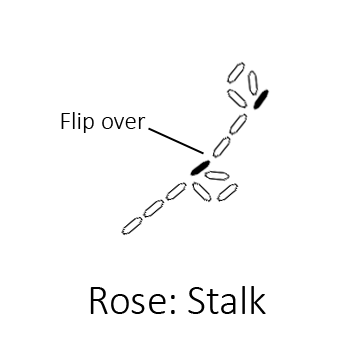 I've made diagrams below of the pattern which I think are easier to understand. 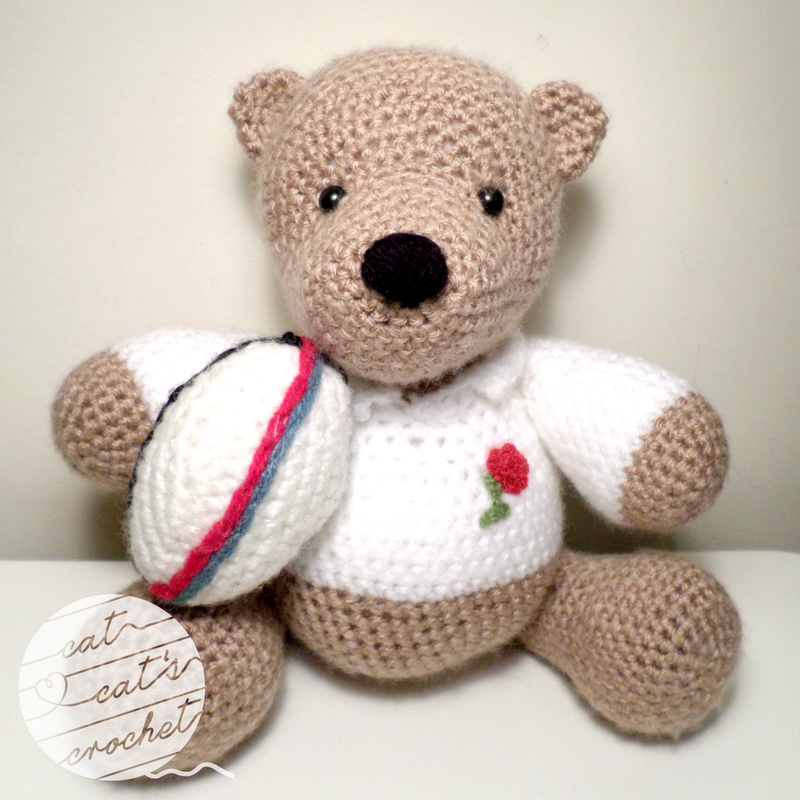 Buy your own little rugby bear here. 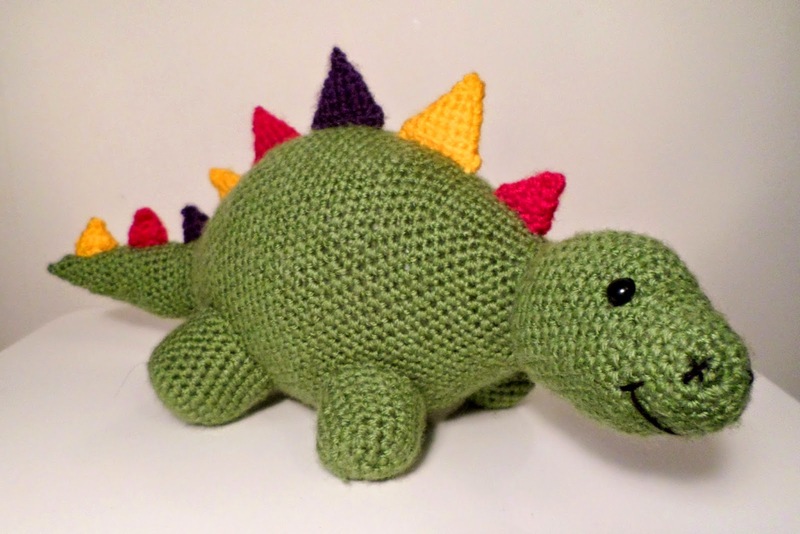 I was asked last week if I could do another commission for someone; a "loveable, funky stegosaurus"! It's been a bit of a challenge making this one, but I'm quite pleased with the final outcome. Everything started well... I managed to get a design for the head that I was really happy with within a couple of minutes, but when it came to the body it got a bit more difficult. I drew a profile image of how I ideally wanted the dinosaur to look - I find this really helps me keep to a shape, especially for a large part. My first attempt at the body was a tad immature. I increased to rapidly in certain areas resulting in a waved edge. 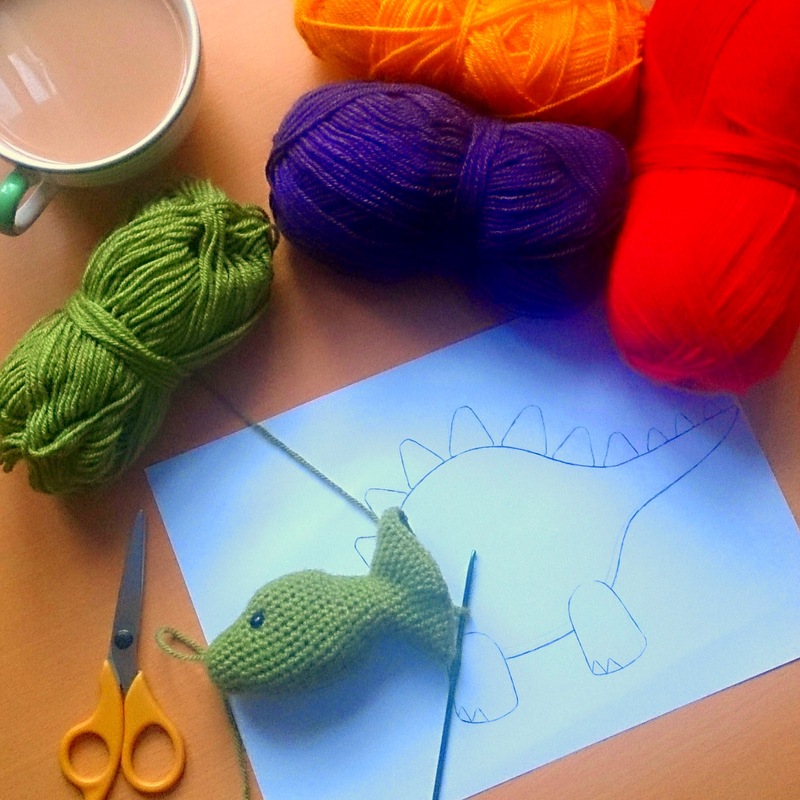 I then decided to seek some help and found a pattern for a stegosaurus via Pinterest. 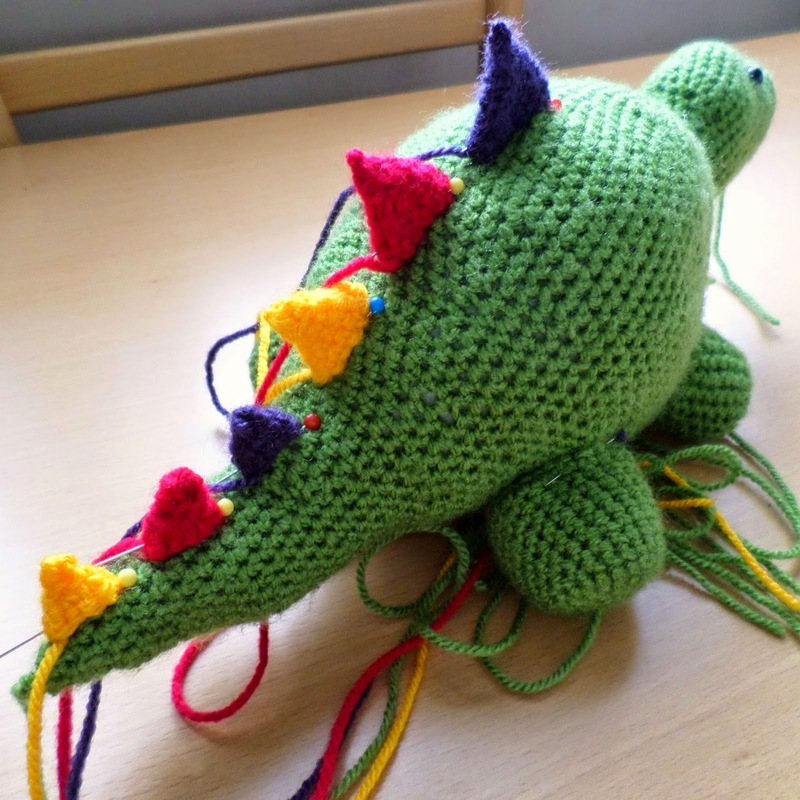 The pattern by The Button Ship made a really sweet stegosaurus, but it was almost a bit too realistic for what I'd been asked to do. However, I had a go to see if I could adapt it in anyway but the result just didn't look right. But if you're looking for a more life like pattern, I'd highly recommend this one! But eventually it appeared to be third time lucky and suddenly, I just cracked it. My mind must have been in the right place and I just seemed to make all the right stitches in the right order! 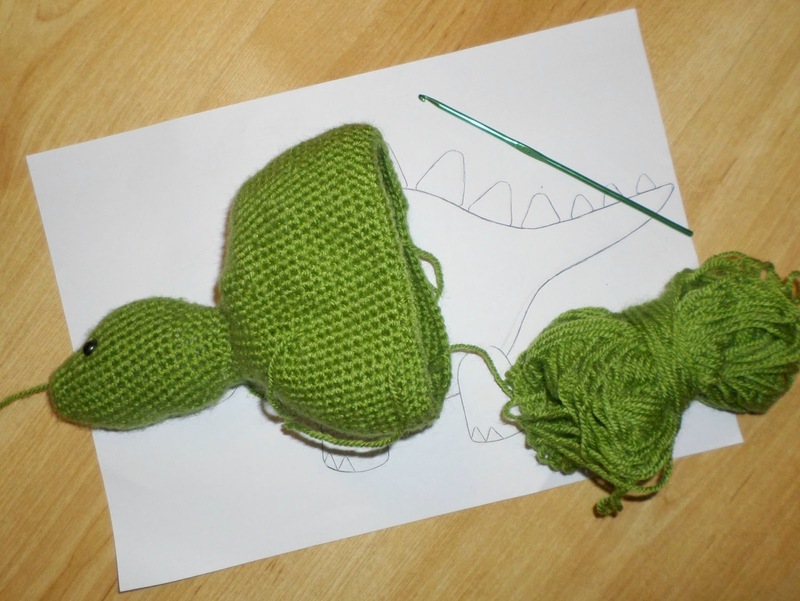 The head, body and tail are all made in one with the legs and the spikes being the only parts made separately. I decided to make the back legs slightly chunkier than the front ones which I feel adds a bit more character. And the spikes descend in size the closer they get to the tail. 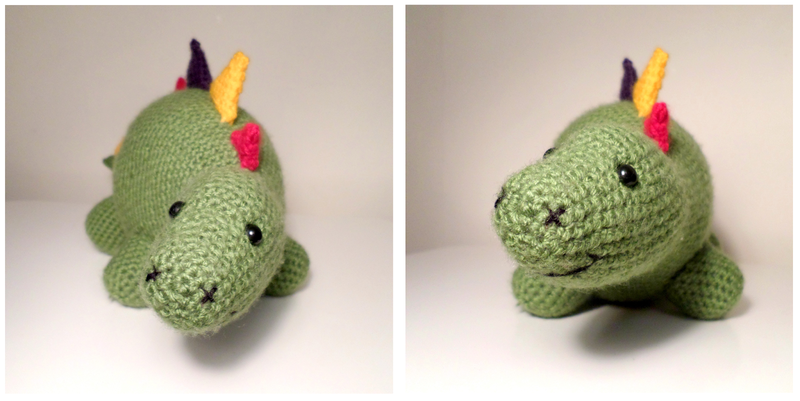 So here he is, my little Stegosaurus. I hope you like him. 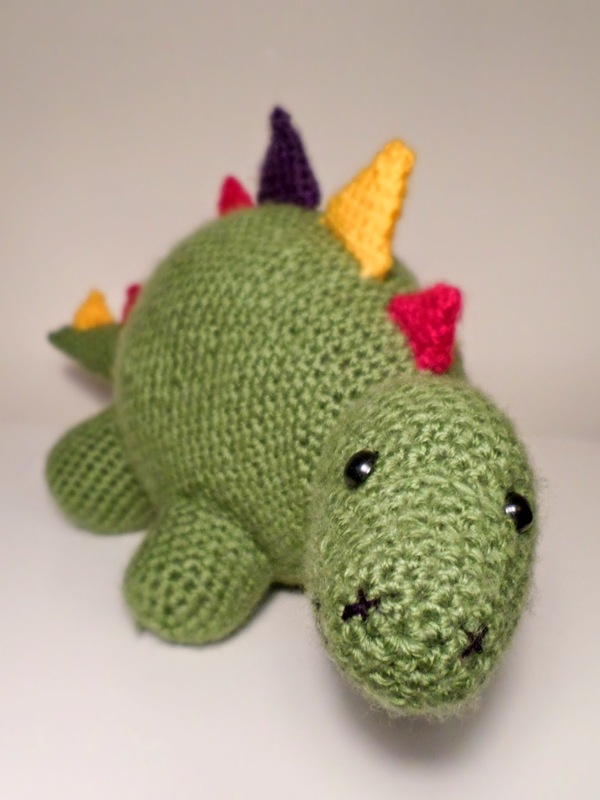 And if you'd like a loveable Stegosaurus of your own then please feel free to have a look at my Etsy shop. Buy your very own stegosaurus here. A friend of mine asked me recently if I could make her a little bear for her room. she liked the little teddy wearing the jumper that I made for my cousin's baby, so I thought I'd let her choose what she wanted her teddy to look like. She requested a brown teddy in a teal blue jumper, so that's what I did. I also gave her to opportunity to name her little bear; she chose Oscar. 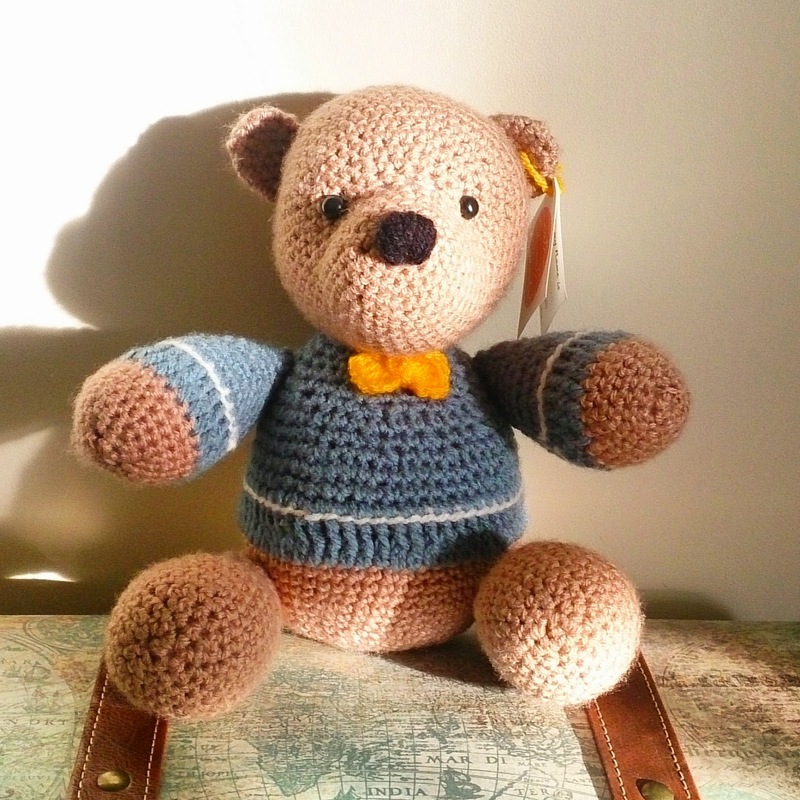 Check out my Etsy shop where you can order your very own personalised bear. I used the pattern from the Amigurumi Winter Wonderland book as a guide but this time I changed quite a bit of it to fit with what I wanted the Teddy's personality to be. 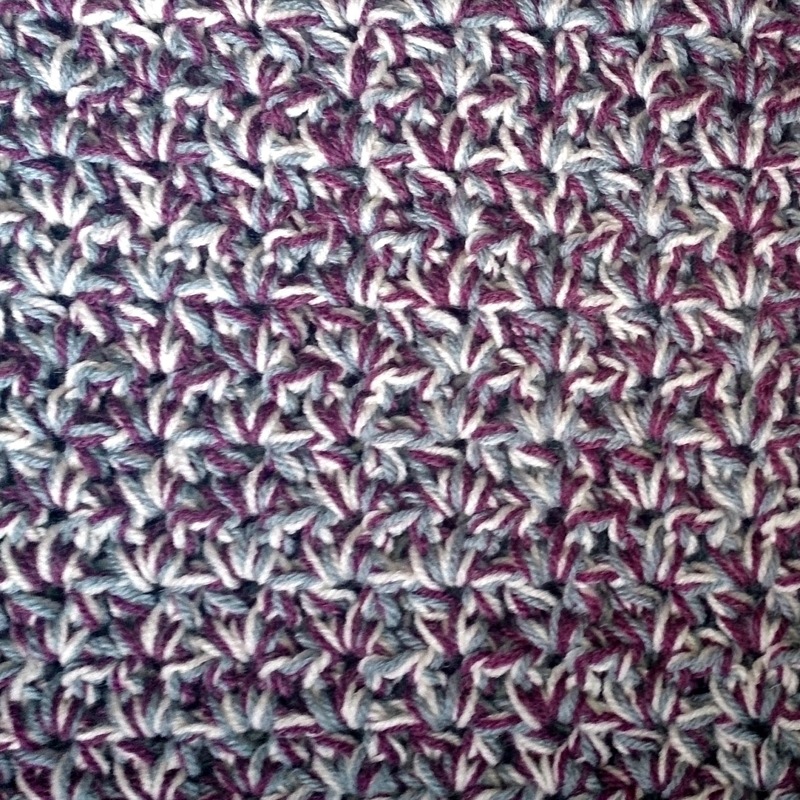 In the pattern, the body goes to a total thickness of 48 stitches (increasing by 6 stitches on each increasing row). However, I wanted my bear to be a bit chubbier, so I added another increasing row (totalling 54 stitches) and adjusted the pattern from their accordingly. I also changed the legs by adding feet and made the arms chubbier too to match the body. The original pattern also suggests sewing on the contrasting trim afterwards, however I decided to add it in as a row of slip stitches to give it a cleaner finish. I've made a list of all the adjustments I made to the original pattern below. (Be aware the original pattern is in American format so I've stuck to that with my alterations). 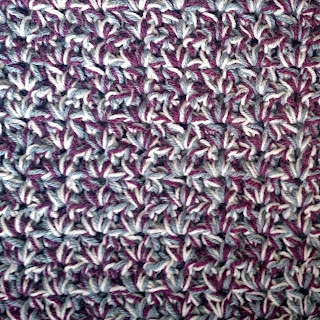 Now continue from the original pattern at row 19. Technically you've only added 2 extra rows but a lot more chub! 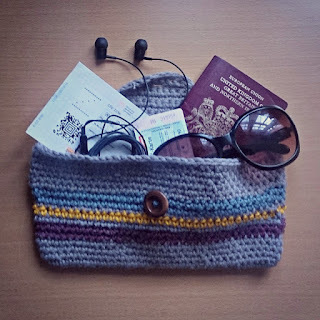 Now continue from the original pattern at row 10. You've added an extra 3 rows which has made a little chubby foot! Now continue from the original pattern at row 11. 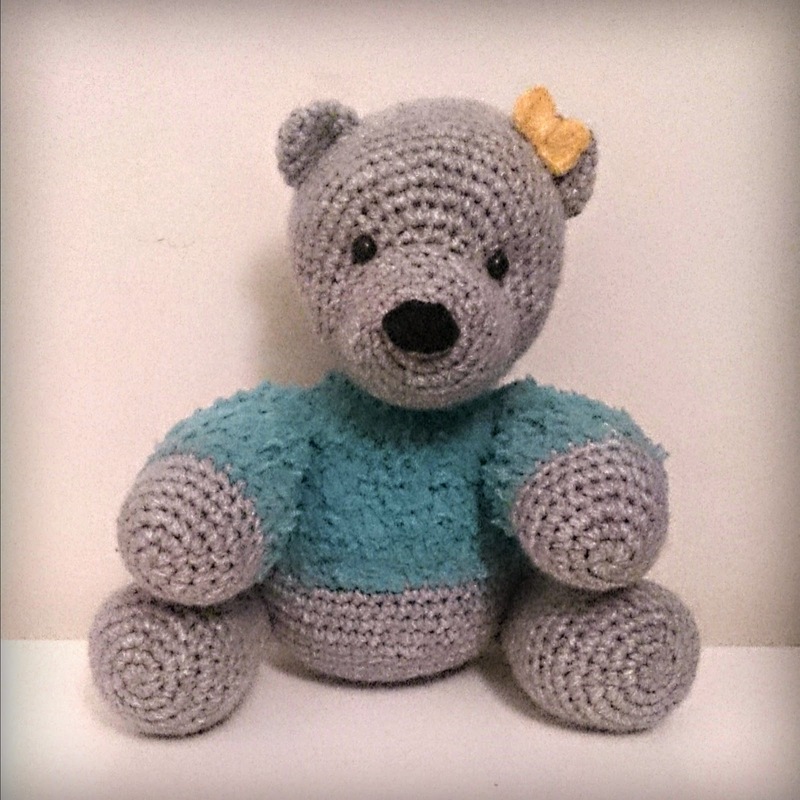 Buy your own little bear here and customise them yourself. I thought I’d show you a selection of a few projects I’ve finished recently. My cousin and her husband are currently expecting their second child and she’s due in February. They’ve found out they’re expecting a girl so I thought I’d make the new addition to the family something as a welcome to the world present. I decided to make a little teddy bear based on a pattern by Ilaria Claliri in the Amigurumi Winter Wonderland book by Amigurumi Patterns (a really good resource for patterns, but be aware most are in American format). I changed the pattern slightly for the jumper as I was working with snuggly chunky baby wool. So I didn’t do quite so many stiches per row. I also made the ears bigger, as having an extra row of 14 double crouchet allowed me to fix a little purple bow to one of them. I chose the pale yellow colour for the jumper as, even though they found out it’s going to be a girl I still wanted the bear to be loved if there was any sudden surprises come February. 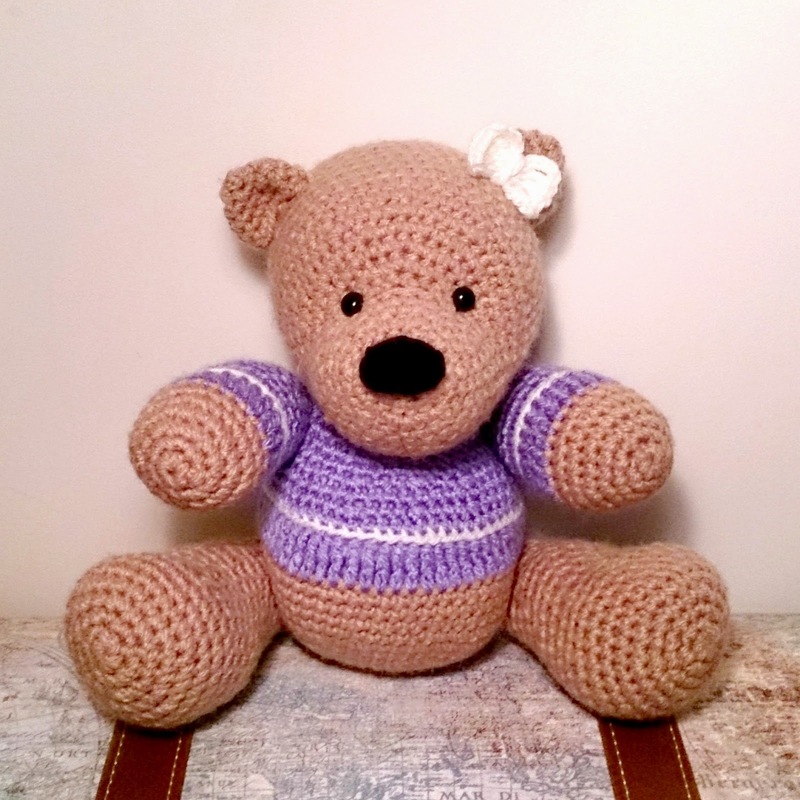 So here’s my little baby bear and a link to AmigurumiPatterns where you can buy the book if you fancy making your own little bear. Whilst I was making New Little Baby a present I suddenly thought about how her new Big sister was going to feel. I remember what it was like to become a big sister and suddenly have this new little person in the family, but there’s going to be a bigger age gap between Carys and her new baby sister. So I thought I’d treat her to a little present as well from one big sister to another. Carys is a proper girly girl and really into her My Little Ponies and unicorns. 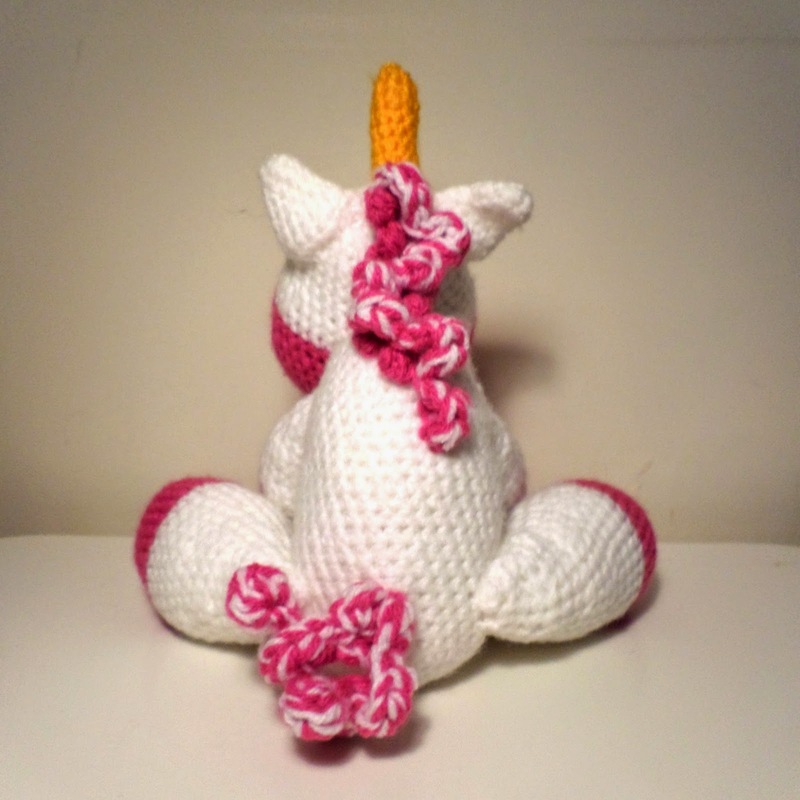 So I’d seen quite a few images of amigurumi unicorns on Pinterest and decided to give it a go. 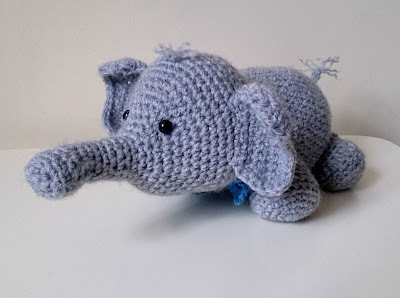 I used this pattern by Rachel at Little Yarn Friends as inspiration, but made some slight adjustments to the head, body and tail. For any of you who have seen Despicable Me you’ll probably notice that I was slightly inspired by Agnes’ Unicorn for the colour scheme. White, pink and yellow. And here’s the finished product. It was a lot harder to sew all the pieces together on this project tan others I’ve done in the past; it required a lot of pins to hold things in place. But I’m really pleased with how it’s turned out, especially the mane and the tail. Buy yourself a unicorn here. 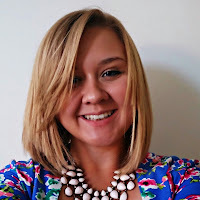 This is my first ever blog post, and having never done this before, please forgive me if it takes me a while to get the swing of it. I’m a 23 year old Product Design graduate who is possibly more like a middle aged woman at heart. 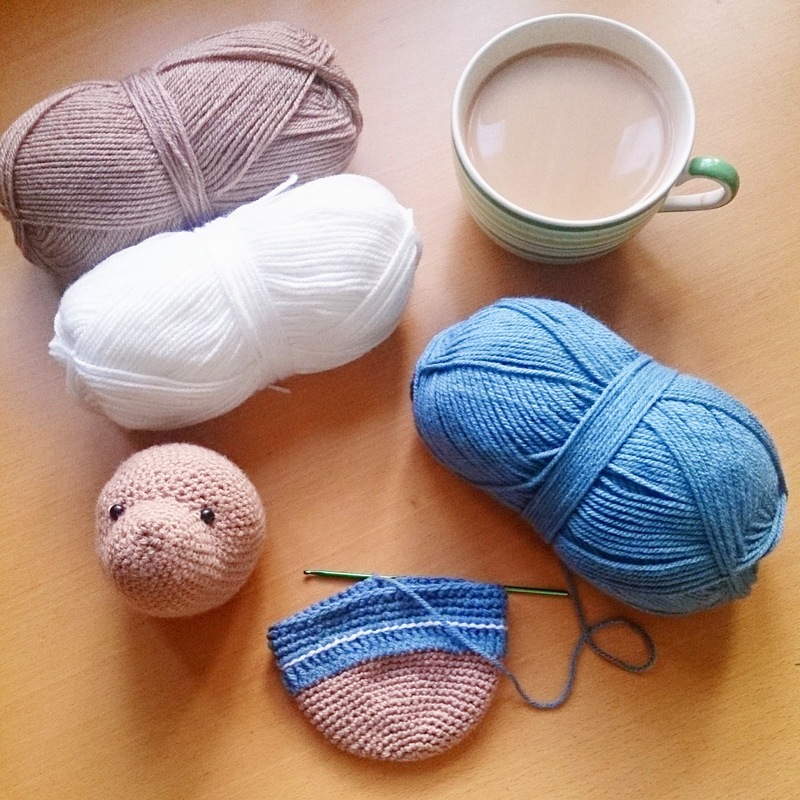 Nothing makes me happier than sitting, crocheting and drinking tea. 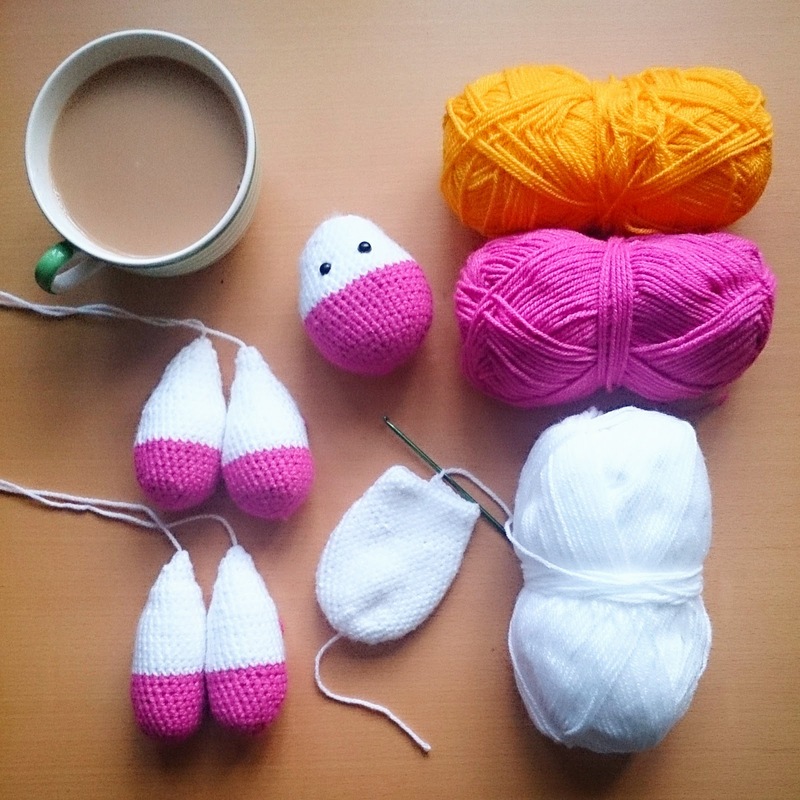 This blog is just going to be my little platform to show people what projects I’m working on and basically all the things I get up to when I crochet. I only learnt to crochet about 2 years ago now but instantly caught the bug. I was taught by my Mum who learnt when she was young; but it has only been over the last few years that she herself has gotten back into it. I remember the first thing she made for me was an amazing multi-coloured blanket to take with me to university. And she’s since made 3 more, after requests from my sister, my boyfriend and uni friends. (In fact I’m snuggled under my boyfriend’s one right now! Shhh). But when it comes to styles of crochet my Mum and I are quite different. She’s amazing at larger scale projects and can work her stiches really fast, whereas I tend to prefer the smaller projects and normally in a more amigurumi style. 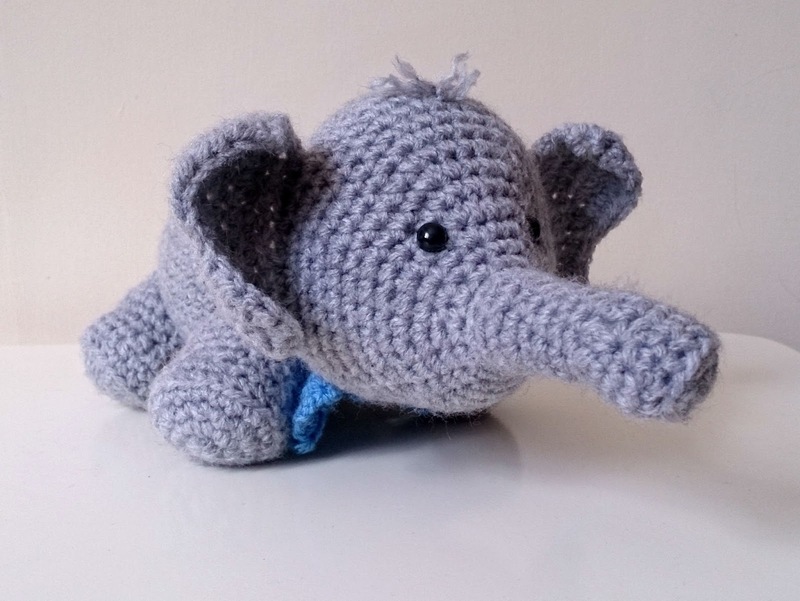 So if you’re into amigurumi and making little toys and gifts for friends and family, then this blog is definitely for you! I hope you come back to visit once I’ve got my head around this blogging business a bit more. But in the meantime feel free to check out my Instagram account and have a browse on my Etsy shop.